Hey! I just made the Internal Fountain from Lady Gaga's Monster Ball Tour. 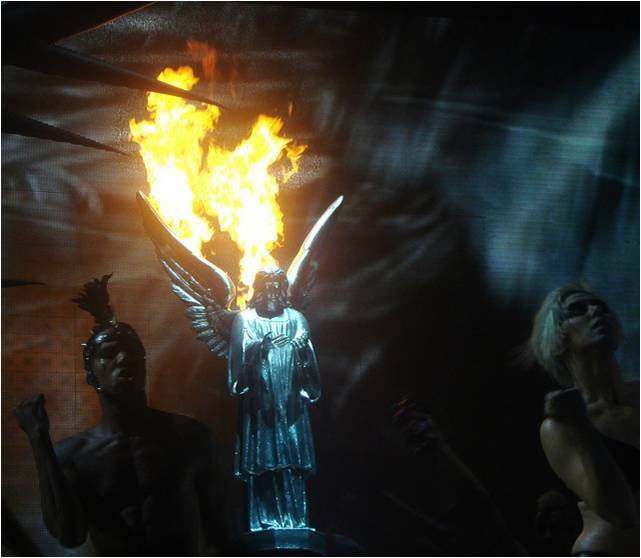 It can be seen in the "Alejandro" part. But the biggest problem is that Jesus/An angel is stading on the top of it, and I can't mesh Jesus, so I were wondering if anyone could mesh it for me or find any smilar mesh? ALSO, how can I make the platform more crystal-like? i have this angel as obj C: or soemthing similar. But you know that you should move the object a lil up, cuz its under the floor ! Thank you all! It's now finished.